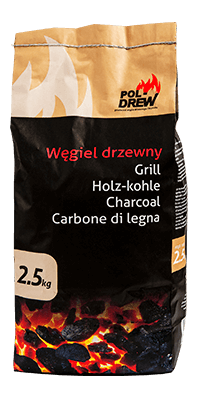 Charcoal offered by our company is produced exclusively from deciduous tree wood. 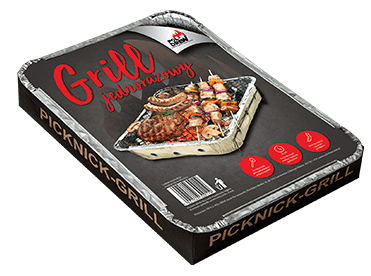 Having control over the course of the production process, we can offer you the highest quality product, thus providing a guarantee of successful barbecuing. High quality parameters of coal allow for quick lighting and high temperature maintenance throughout the barbecuing process. Package weights available: 2 kg, 2.5 kg. The product can be packaged under the Customer’s brand in any weight. 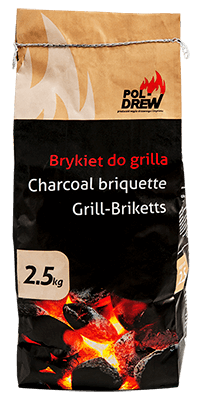 Briquettes for barbecuing made of charcoal dust are an excellent alternative to charcoal. The production technology used without the addition of chemicals allows us to achieve the effect of extended barbecuing time. An ecological binder was used in production in order to bind the charcoal dust and water. This single-use barbecue is a comprehensive barbecuing product. It will allow you to enjoy barbecuing in every place dedicated to such a purpose. The set includes an aluminium tray filled with charcoal, a paraffin fire starter, a grate and a rack. The whole set is packed in aesthetic packaging. To start barbecuing, just remove the product from the packaging, put it on the rack and use a match or lighter to light the barbecue. The product can be packaged under the Customer’s brand. This fire starter is made of several species of wood and soaked in purified paraffin/stearin. The product is fully ecological. The fire starter’s formula allows you to use it not only for the barbecue, but also for the fireplace or furnace. The main qualities of the fire starter are as follows: it smells of natural wood, does not affect the taste of grilled dishes, can light both large pieces of wood and charcoal for barbecues. The average burning time of one piece is approx. 8-10 minutes. The fire starter is available in packages: 20 pcs. 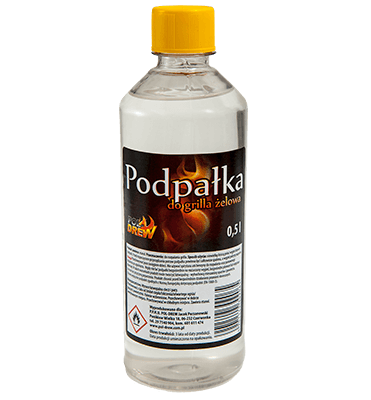 This fire starter is produced on the basis of alcohols. It is characterised by excellent quality and speed of lighting the barbecue without interfering with the taste of prepared dishes. The gel consistency of the fire starter makes it easier to dispense it, thereby applying as much product as we need. 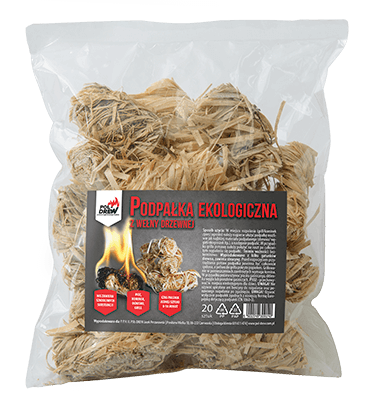 The fire starter is available in packaging with the capacity of 0.5 l.
This ecological fire starter is made of wood panels soaked in high quality paraffin. The fire starter’s formula makes it perfect for lighting barbecues, fireplaces or furnaces. It is enough to use a small piece of this fire starter to light the fire. An additional advantage of the fire starter when using it to light the barbecue is the fact that it does not affect the taste of grilled dishes. The fire starter is available in packaging: a bar of 40 cubes.